In Which Way?... Mother and daughter tell parallel stories about trauma and its impact on the generations that follow. 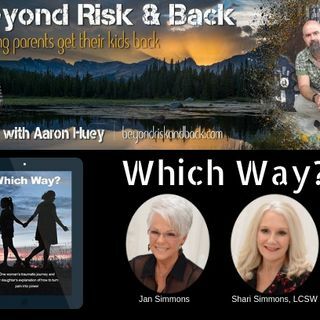 Jann Simmons’ story is a heart-wrenching account of an orphaned child who suffered brutality at the hands of her mother, as well as many others. As an adult, Jann’s mind was closed to the horrors of her abuse, betrayal, and abandonment until the day they all came flooding back to her conscious mind. That awareness began a 40-year transformation from a passive victim to ... See More resilient warrior. As a young teen, Shari struggled to make sense of her mother’s pain, but as a career mental-health therapist, she began to understand her mother’s journey and learn how trauma affects the brain. She offers strategies in this book for those suffering from past or present trauma or for those who love someone who is suffering. Both women tell their stories and drive home the fact that the choices we make can lead to self-hatred and resentment or to a life of courage, healing and beauty.